I was stomping around a good portion of the island today, and Montréal had beautiful weather. After a day of snow then freezing rain, today was bright, sunny, crisp and cool but with sun flooding the city. 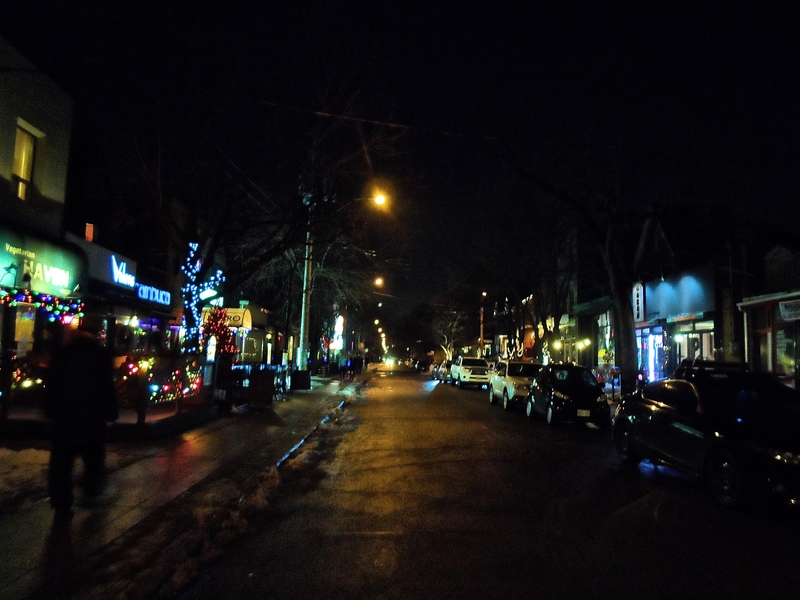 So I took a few photos of the different neighbourhoods I was meandering through before darkness fell, which at this time of year is around 4 pm. The photo above is of the Outremont/Mile End area along Laurier street. This area is lined with shops that are a bit more upscale, as well as some great restaurants including a failed venture with British chef Gordon Ramsay. That restaurant is the first building on the left of the photo, and was a long-standing but faltering establishment called Rotisserie BBQ. Gordon Ramsay came in all Hell’s Kitchen-style, revamping the place and renaming it Rotisserie Gordon Ramsay before abruptly pulling out of the business relationship four months later. The restaurant is still up and running but is now named Rotisserie Laurier. This neighbourhood is still a great place for shopping and eating. Juliette et Chocolat is a great dessert café, and Gourmet Laurier stocks all the hard to find ingredients for cooking and baking. I was so grateful they had meringue powder so that I can whip up so Christmas desserts tonight. Now that American Thanksgiving is behind us, it’s officially acceptable to get into the Christmas spirit. 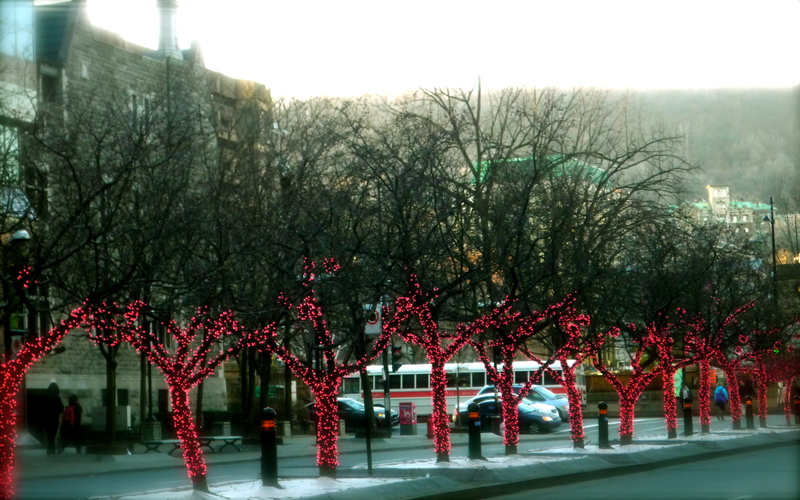 I recently made a trip back to Montreal, and was excited to see the city dressed up for the holiday season. I have always particularly enjoyed the Christmas lights on McGill College Street — the view from downtown, up to McGill’s Roddick Gates and to Mount Royal makes for stunning scene. This year’s lights are hot pink, which is, to my recollection, a first. I think they look absolutely fabulous, and are a refreshing change from the traditional white lights.